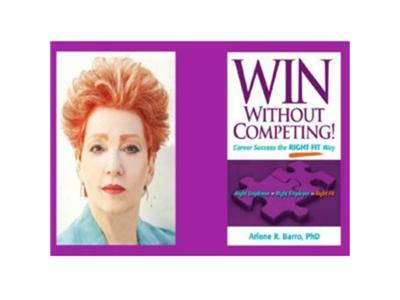 "Jumpstart your Job Search to Succeed"
On WIN Without Competing! Dr. Arlene will talk about the holiday season as the perfect time to search for a new position in 2012. This is the high season for hiring! Dr. Arlene, with her co-host Virgil Holder, an Expert in Recruitment and Senior Director for Human Capital at Piedmont Healthcare in Atlanta, will discuss the reasons why you must accelerate your job search in December to pave the way for January 2012 and hit the ground running.